Tall booklet style wedding program. 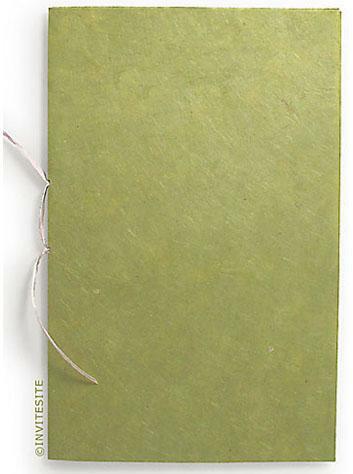 Cover made from applegreen tree-free, handmade lokta paper from Nepal. This lokta sheet is imprintable - you can print your names and date on the front cover with an oversized printer. Program Cover:tree-free imprintable handmade green lokta paper.